The cabinets are designed for reverse osmosis (RO) and ultra-filtration (UF) processes for KSB filtration pumping solar plants. The systems are implemented with SPIM / H converters. Each of the described systems has two versions with different power and respectively different converters (Table 1). 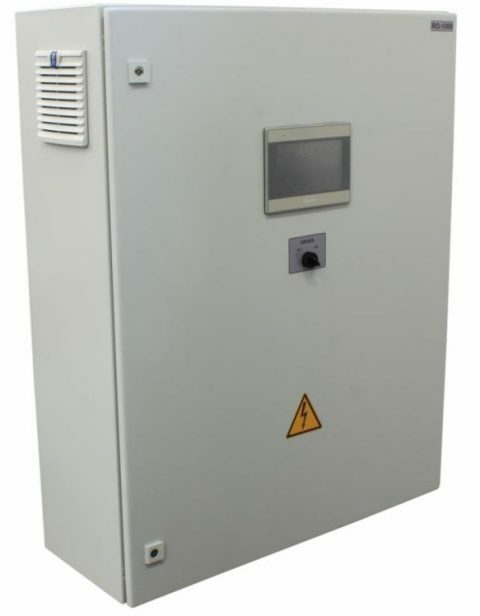 The SPIM / H converters provide MPPT functionality, which guarantees working at PV maximum power point. The MPPT is implemented by “Perturb & Observe” (PO) algorithm.